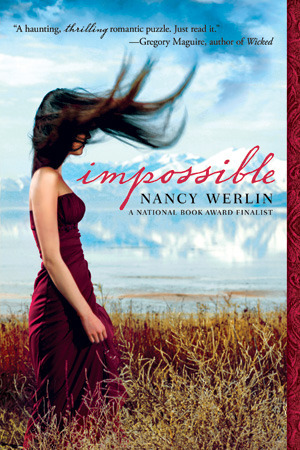 Impossible by Nancy Werlin – I have difficulties expressing how much I enjoyed Impossible, but truly, this book is fantastic. It’s a surreal sort of fairytale with a contemporary setting and wonderful, likeable characters. It’s such a romantic book, and there’s a curse that becomes a mystery to be unraveled. If you read Impossible solely to meet sweet and supportive love interest Zach, you will not be disappointed. My full review is HERE. 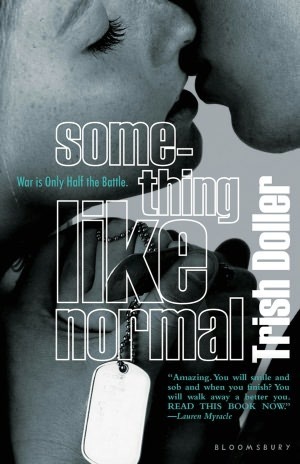 Something Like Normal by Trish Doller – Another military novel I was hesitant to pick up. So glad I did, though, because my love for Something Like Normal runs deep. Protagonist Travis is everything I look for in a fictional romantic interest. Tough, sarcastic, damaged, a little bit irreverent, but loyal and sensitive when it really counts. He’s a close second to Jonah Griggs on my Awesome YA Boy list. And Harper, Travis’s longtime crush, is adorable. I loved how she refused to take crap from him. Something Like Normal is one of my new favorite contemporaries… Recommend! Uses for Boys by Erica Lorraine Scheidt – This book is an in-depth, unflinching look at what it’s like to live in protagonist Anna’s shoes. Throughout most of the story, she’s is just trying to survive. Yes, she makes some crappy choices. Yes, she sleeps with a lot of boys, and yes, several of them are one night stands. Yes, there were several occasions when I thought, Oh, Anna, don’t do that! But Anna has some legitimate reasons for behaving the way she does. While I may not have been able to relate to her experiences, I was certainly rooting for her to find happiness. My full review is HERE. 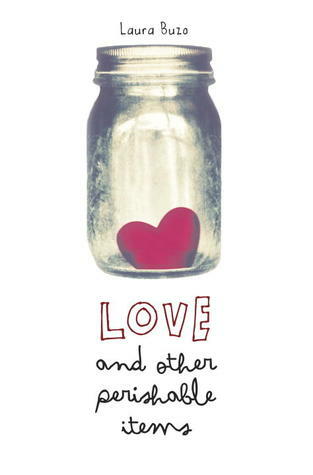 Love and other Perishable Items by Laura Buzo – A quiet novel that builds its characters and their relationships slowly. It’s the sort of book you don’t realize you’re falling for until you’re nearly done. In other words, Love is my favorite kind of story: slow-burn, full of longing and wit, populated by vibrant, dynamic characters, and with authentic voice that leaps off the page. Perfect for fans of contemporary YA, and especially those who remember those first feelings of unrequited love, appreciate nuance and authenticity, and enjoy an Aussie setting. My full review is HERE. 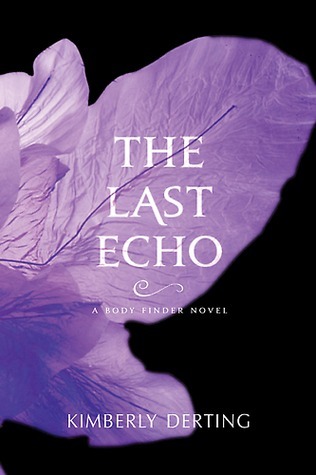 The Last Echo by Kimberly Derting – I’m a fan of The Body Finder series and have been since I read the first novel a few years ago — the premise is unique and very cool. I’ve heard Kimberly Derting speak at several events and she is delightful: smart, funny, and real. I’m not at all surprised that The Last Echo was a pageturner, but I am surprised at how fresh these stories continue to be. I’m not at all tired of reading about Violet’s “gift,” I love the creepy mystery element of each novel’s plot, and I continue to be captivated by Vi’s (steamy!) relationship with Jay. I’m very much looking forward to picking up the fourth book in this series, Dead Silence, which released last month. 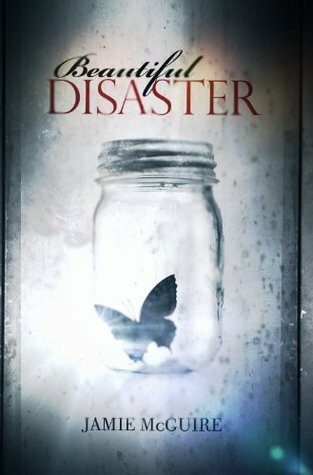 Beautiful Disaster by Jamie McGuire – My mom showed up at my house a few weeks ago with a copy of this novel. After she read it, she insisted I read it too. Her review was hot-and-cold and she wanted to know what I thought. My honest opinion: Travis is possessive and needy, and Abby is wishy-washy. The plot is rather implausible and occasionally slow. The conclusion of the story included some major eye-roll moments. And I definitely would not want my daughter to read Beautiful Disaster and think the relationships it portrays are in any way healthy. All that being said… Trav and Abby had amazing (albiet dysfunctional) chemistry. I was utterly entertained by all the angst in this novel. I flew through it in a weekend and I don’t regret a single second I spent reading. A sure sign of an enthralling story, right? What’s the best book you read in April? I was surprised to see Something Like Normal on your list, not because it’s not a good book but because I actually got to meet Trish at a book signing earlier this year. She’s a lovely person. I thought her creation of Travis was brilliant. I loved him. I’ll have to check out a couple of the other books you listed. Thanks for the heads up and have a happy day. It’s bleak and rainy in my world today. I agree — Travis is brilliant, and felt so very real to me. I’d love to meet Trish at a signing one day. It would be fascinating to hear about how she conceptualized Travis and researched this book. I’m a big fan! Off to check out the other Booknistas. Now I’m dying to read IMPOSSIBLE. (I think I had the same feeling after reading your review of it, but for some reason I never added it to my TBR list. That’s fixed now.) 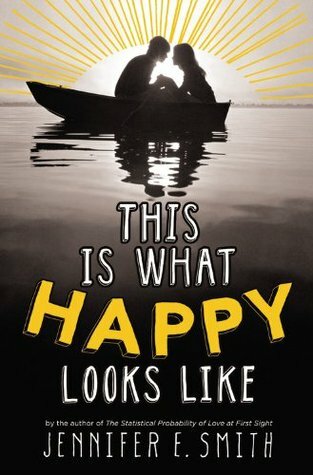 Oh, and I also loved This is What Happy Looks Like. It was all sorts of adorable, and I agree that the e-mail correspondences throughout (and especially in the beginning) were great. Ooh, I think you’ll like IMPOSSIBLE, Tracey. I know you’re a fan of CHIME and, while IMPOSSIBLE has a much more modern, contemporary setting, the odd magical elements reminded me of that book quite a bit. Also, Franny Billingsley blurbed IMPOSSIBLE, so there’s that. 🙂 Please let me know what you think once you get around to reading it! Speaking of beachy contemporaries, Jaime, do you have NANTUCKET BLUE on your TBR list? It comes out in a week or two (pretty sure…) and I can’t wait to read it. Romance, beach, lovely cover, debut author. Sounds so good! You read some pretty impressive books and I can’t believe I haven’t read ONE of them! But now they’re all going on my TBR list, and it’s a good thing I got a couple of B&N GC’s for my b’day, cause that list is getting long!!! Thanks for all the great recos, as always, Katy! Have fun spending those gift cards. I won’t pretend like I’m not jealous. 😉 You’ll have to let me know what you think of you read any of the books from my wrap-up. Hope you’re having a great week, Erin! Lots of good stuff to choose from here. Out of these, I’ve only read THIS IS WHAT HAPPY LOOKS LIKE, so I’ve added a few more to my giant TBR list. Great reviews, as always! I am crazy jealous of your reads! I am going to start SOMETHING LIKE NORMAL this weekend and am very excited about that! First, WHAT FAB COVERS! I could just stare all day. These all sound so compelling in different ways. I mean, you referenced Jonah Griggs, for goodness sake. I need to re-read that one. LOVE. HIM. Thanks for the recs, Katy and I LOVE your banner. So nice! Thanks, Kat! I’ve been wanting a new banner for awhile and I thought the butterflies were fun and summery. And they were free, so that’s always good. 🙂 And yes, if you like Jonah (who doesn’t?!) I think you’ll like SOMETHING LIKE NORMAL’s Travis. Happy reading! Wow all those books sound awesome! I’ve added a few to my TBR already and can’t wait to get started…Thanks for the recommendations, Katy!